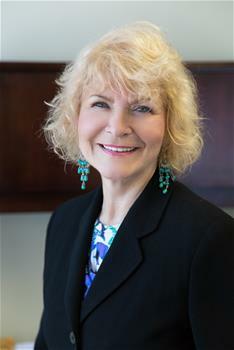 Barbara Faron has served as the Chief Executive Officer of Federation of Organizations since 1986. Under her steadfast leadership, Federation has grown from a small not-for-profit serving Suffolk County, to a multi-faceted social service agency serving Nassau, Suffolk, Queens, Brooklyn, and the Bronx providing care to thousands of individuals each year while employing over 500 people. Beginning her career with Federation as a direct service worker in Federation’s Foster Grandparent program, Ms. Faron gained hands-on experience and a keen perspective on how to develop programs that truly help others succeed. Throughout her tenure as CEO, Ms. Faron has been the catalyst for positive change within the agency and has helped Federation adapt and grow in an ever-changing healthcare system. Her memberships include the National Association of Social Workers and the National Alliance for the Mentally Ill. Since 1990, she has served as chairperson of the Islip-Babylon Service Area Council and in October 2000, she received the second annual “People in Recovery Choice Award” from the Mental Health Association of Suffolk County. Other achievements include: the 2004 Distinguished Alumni Award from the Stony Brook University School of Social Welfare and the 2008 Town of Brookhaven Outstanding Community Service Professionals award. Most recently, Ms. Faron was recognized as a Top Female CEO by the Smart CEO Brava Awards, a Top CEO from Long Island Business News, and a Future 50 Award winner for Fastest Growing Company, all for 2016. Ms. Faron is a Licensed Master Social Worker and a Certified Psychiatric Rehabilitation Practitioner. She holds a Master’s Degree in social work from the Stony Brook University School of Social Welfare and has extensive experience in criminal justice, community organizing, aging, and mental health.